European Commission Vice President Andrus Ansip sent a letter to MEPs today (12 February) insisting that the European Commission still hasn’t decided whether it will include a so-called ‘Google tax’ in its upcoming copyright proposal. The Commission is expected to propose new copyright legislation this spring. Last July, MEPs voted against introducing an ancillary copyright law for press publishers, which could allow news companies to charge online search engines if they include their articles in search results. Germany and Spain introduced controversial ancillary copyright laws. Google News stopped operating in Spain in 2014, while German publishers eventually caved and let Google show their articles in search results. But the Commission has flirted with the idea of an EU-wide Google tax. EU Digital Commissioner Günther Oettinger told MEPs last July that he is “open to” an EU ancillary copyright law and would prefer a version closer to the Spanish model. Ansip told MEPs in a letter that “no decisions have been taken yet in this context” and is considering results from the Commission’s recent public consultation on online platforms. 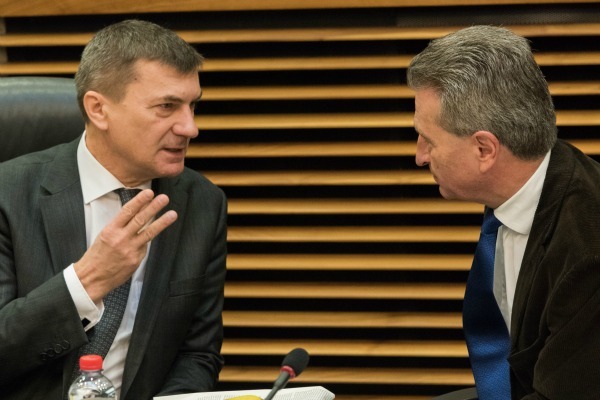 “The Commission is closely following the discussions in the European Parliament concerning the copyright modernisation, including on the so-called ancillary right for press publishers, and will take them into account in our own work,” Ansip wrote. German MEP Julia Reda (Pirate) posted the letter on her blog. Reda, who authored the Parliament’s report on copyright that was approved last July, has been an outspoken critic of ancillary copyright laws. Ansip wrote in response to a letter sent by MEPs in December. The Commission’s public consultation on online platforms was skewed towards copyright holders, Reda wrote on her blog. “Only people who first indicated that they were rightsholders were even presented questions specifically related to this topic – all but guaranteeing that the results would be one-sided,” she wrote.